GRAND RAPIDS, MI - April 3, 2019 - eVideon, quickly becoming a leader in the ground-breaking field of patient experience technology, announced today that Jeff Fallon has been appointed to the newly created position of Chief Executive Officer. eVideon has recently made a number of positive changes to its organization to take advantage of its rapid growth in the Interactive Patient Technology market. Along with increasing support staff and the creation of an Advisory Board made up of industry thought leaders, the addition of Fallon is a sure sign that eVideon is a company to watch. Fallon, who has had a distinguished career as a business leader with companies such as Johnson & Johnson and GetWellNetwork, brings eVideon the experience needed during this time of rapid growth. Fallon has led similar companies to great success and expects to leave his mark on eVideon as well. 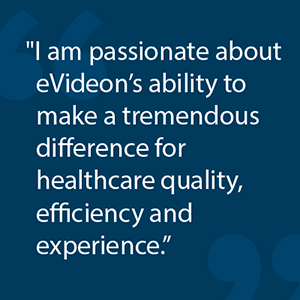 “I am incredibly excited to take on this new role because I am passionate about eVideon’s ability to make a tremendous difference for healthcare quality, efficiency and experience. We have an exceptionally talented team at eVideon that is focused on helping both patients and providers who courageously face the daily challenge of providing better care to more people than ever." "As the market leader in Internet Protocol Television (IPTV), eVideon’s platform is already delivering on this promise even for our veterans and active military at mission-critical VA and DoD hospitals” stated Fallon. With Fallon’s leadership, eVideon plans to break out of the “secret,” category and into the spotlight. Jeff Ingle, Founder and President of eVideon and its parent company OSI, said that bringing Jeff Fallon on board as CEO follows a plan made long ago. With over 30 years of healthcare experience, Fallon lives in Pittsburgh, PA with Beth, his wife of over 30 years. After twelve years with Johnson & Johnson forging innovative new strategic relationships with large healthcare delivery networks, he joined GetWellNetwork as Vice President of Business Development in 2011 to develop solutions-based commercial models with medical device and pharmaceutical companies. Fallon earned a B.A. from Duquesne University, an executive M.B.A. at the University of Pittsburgh, Katz School of Business and completed a health economics fellowship at the University of Pennsylvania, Wharton School. 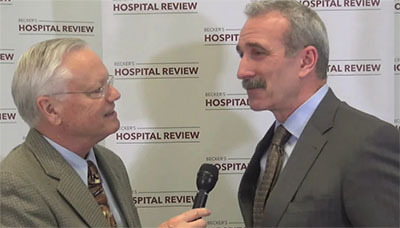 He is also a member of the American College of Healthcare Executives and a former member and current advisor to the Board of Directors for Western Pennsylvania HIMSS Chapter. eVideon partners with hospitals and other healthcare providers to “Transform Patient Experience” using the latest in interactive Patient Experience (PX) technology and software. 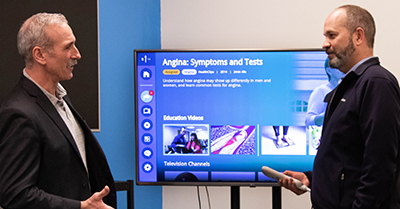 With a focus on Partner-Driven innovation, eVideon designs custom systems that engage, educate and entertain patients and visitors through TVs and devices, while simultaneously providing powerful data gathering and analytics tools that enhance, rather than replace, current workflows. 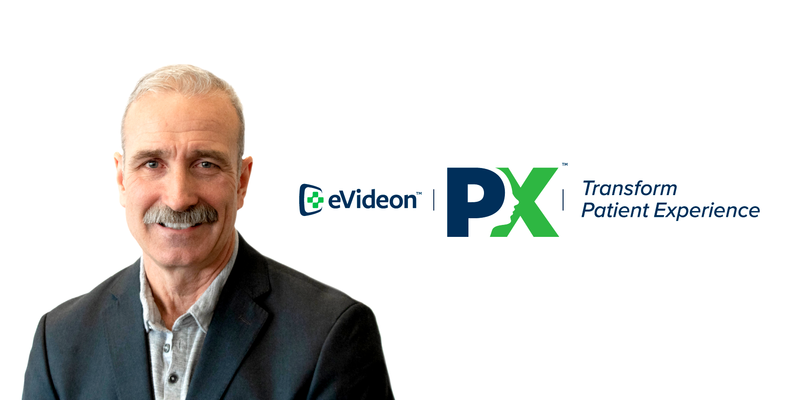 eVideon’s PX Platform integrates with a variety of software systems and hospital applications to centralize and deliver interactive patient communications, personalized patient education, real-time surveys, food service and more.